I was very excited back in 2009 and 2010 when Massachusetts passed, and then put into effect, the first ever statewide food allergy awareness law for restaurants. My excitement and enthusiasm came not from the specifics of the law itself, but from the expectation that its passage would begin a cascade of other states enacting new laws related to food allergy awareness in restaurants. And that is exactly what appears to be happening. Rhode Island passed a law last year, very similar to the one in Massachusetts, which will go into effect in July. There is also currently a strong effort to pass a similar law in Maryland. And there are or have been rumblings in many other states as well, including Illinois, New York, Minnesota, Hawaii, and elsewhere. All this sounds great… but I’m concerned. I’m concerned because the Massachusetts law, being the first of its kind, is – to put it bluntly – weak. (Note that I am a resident of Massachusetts.) I wrote as much in a post on this blog back on October 18, 2010 titled: “Massachusetts food allergy awareness law goes into effect… but is it enough?” And while I am encouraged by the efforts in other states, and particularly by the individual champions of these new bills, I strongly urge our national food allergy community and state legislators to push for improvements over the Massachusetts and Rhode Island laws. Now, I understand that politics is politics and significant changes versus the existing Massachusetts and Rhode Island laws are highly unlikely. I also recognize that many restaurateurs and some state restaurant associations will push back. However, smaller incremental improvements that are in no way overly burdensome to a restaurant should be possible and need to be pushed for. 1) One key provision of the Massachusetts law states that every restaurant must have the following statement either on their menus or displayed prominently on the premises: “Before placing your order, please inform your server if a person in your party has a food allergy.” Simple enough. (Frankly, a restaurant shouldn’t have to tell our community this, but that’s a different discussion.) However, what I’ve found in my interaction with individuals, including on the AllergyEats Facebook page, is that this statement is providing diners, particularly those from out of state, with a false sense of security. What I’m hearing or reading from out-of-state food allergic diners are many comments along the lines of: “I was just up in Boston and we went to a restaurant where they said right on the menu that we should inform them of any food allergies, and immediately I felt more comfortable that this restaurant understands.” Well no, that’s not necessarily true. Even with the law in place, there are some restaurants in Massachusetts that are better trained at preparing meals for food-allergic guests and some that are not at all allergy-friendly. And now we’ve got food-allergic diners who might let their guard down somewhat because of that statement on the menu, who might assume that the restaurant understands cross-contamination, who might not ask the critical questions they normally would. Thus, we have an increased chance of something going terribly wrong, which obviously no one wants. So if your state feels the need to have a similar provision in their new restaurant food allergy awareness bill, I would strongly encourage the development of a new statement that does not inadvertently imply any level of food allergy knowledge or competence by the restaurant. I’ll leave it to smarter minds than I to figure out what that language should be (maybe just stating that state laws require the comment), but having no comment at all is, in my mind, better than offering an accidental false sense of security (especially, in my opinion, since every food-allergic diner should know to inform the restaurant staff of their allergies). I don’t fault Massachusetts – or anyone – for this unintended consequence of the statement. I think it caught many people, myself included, off guard. That’s what happens when you’re the pioneer. But now that we know it’s a potential problem, let’s fix it in other states. 2) Another key provision of the Massachusetts law requires one member of every restaurant to become food-allergy trained. Sounds good until you look at the details. The extent of the training is a 30-minute video that the trainee needs to watch. And that “trained” individual obviously cannot be in the restaurant at all times. So to me, this isn’t training and this isn’t being responsible to the food allergy community. This is a bad compromise that needs to be improved. Fortunately, this provision can easily be tightened without any onerous burden on the restaurant. Two ideas strike me right off the bat (and I’m sure there are many more that others can think of). For one, new state bills should put a little meat on the bone with respect to training. There are now excellent online training programs that are not expensive to the restaurateur, but will allow for a much greater level of employee education. Secondly, why not require that at least one trained employee must be on site at all times? That would obviously require multiple trained employees, but again it is not overly burdensome with respect to time or cost for the restaurant owner. And it might make the restaurant safer. The best restaurants in the country train ALL their employees. Not only will those restaurateurs tell you that the cost isn’t onerous, but they’ll tell you that the return on this investment – in terms of increased business from a very loyal community – is tremendous. So the suggestion here is simple: follow the letter of the Massachusetts law on this one. 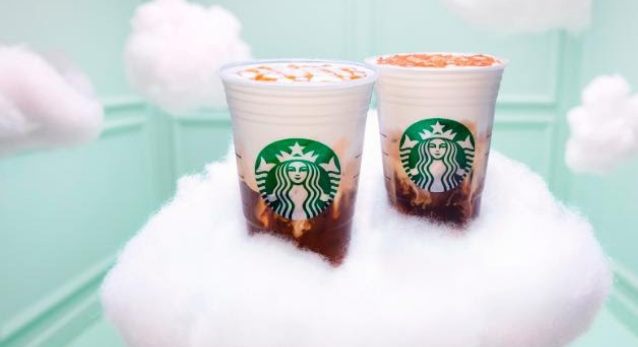 Create a set of guidelines – there are many experts out there that will help – and implement this opportunity for restaurants. 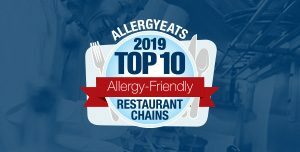 Again, it is not mandatory – so that should ease the concern of any individual restaurateurs – but could have a significant impact on helping food-allergic diners make better restaurant choices given their special dietary needs. 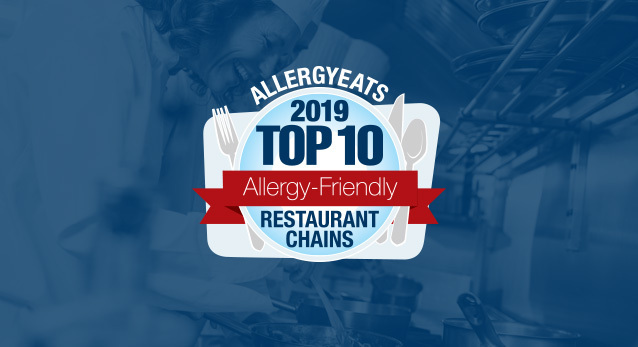 Ultimately, this may also encourage more restaurants to become allergy-friendly as they see the positive impact it will have on their business. And wouldn’t that be a great side effect! It’s all about small, incremental changes. The Massachusetts law was a great start. It created the momentum for all the activity we are now starting to see. But it needs to be improved upon. Cost shouldn’t be an issue. I haven’t spoken to a single Massachusetts restaurateur who said the cost was anything beyond minimal. The issue should be safety! If dedicated individuals are going to put many hours of effort into developing a food allergy awareness law for restaurants, then restaurants should have to become at least incrementally more food allergy aware than the current Massachusetts law requires. We have to stop giving food-allergic diners a false sense of security. I’ve thrown out a few ideas here on how to take baby steps to improve upon the Massachusetts and Rhode Island laws. There are many more great ideas. I want to hear yours! First of all, do you agree or disagree with the opinions I’ve presented? Do you have ideas for how to improve upon the current laws in Massachusetts and Rhode Island? What provisions would you put in a new law if you were starting from scratch? Remember, of course, that these have to be politically feasible. That’s the real world talking. Please share your comments and ideas in the Reply box below. Meanwhile, let’s continue to provide the real world feedback on how restaurants around the country are accommodating our food allergy and intolerance community (which, in my opinion, trumps the value of any law that can be passed anyway). 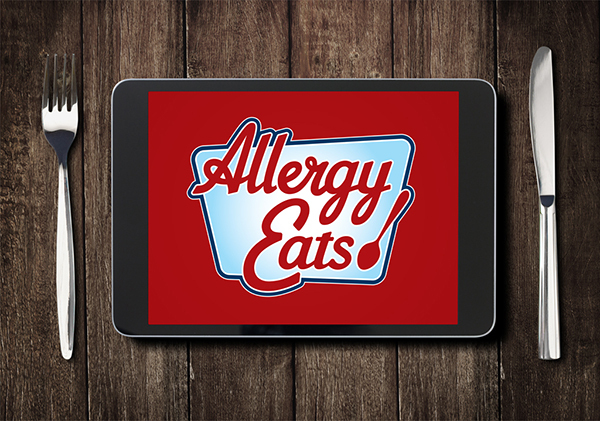 If you’ve dined out in the past few weeks or months, please go to www.allergyeats.com or download our free smartphone app and rate your restaurant experiences. Rating a restaurant only requires answering 3 multiple choices questions and leaving an optional comment – it literally can take under a minute. By doing so, you help AllergyEats continue to grow as an even stronger resource for our entire community. Paul, thanks, this is helpful. A friend and I here in VA are thinking of trying to make a push for legislation. We’ve been following MD’s efforts. We’ll keep all of your points in mind as we proceed. Mary, if I can help in any way, don’t hesitate to contact me. Use contact@allergyeats.com and I’ll get it. I admire your willingness to consider this. It’s a lot of work, but those who do it are truly heroes in our community. 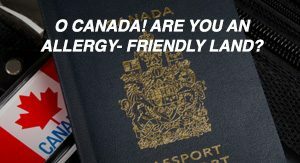 I think that one thing that needs to be addressed with any law is the liability of the restaurant that is “allergy friendly”. I have spoken with people who make prepared foods and they have said their lawyers advised them against making an allergy free product or labeling it as such because if there is a mistake, they could get sued for it. So many places post that they are not safe even though they may use good precautions against cross contamination. I think that if businesses use procedures that are a high standard of cross contamination prevention, and train their employees to use those procedures, then maybe their liability should be lower. Just as the Massachussettes instruction provided a false sense of security, there is often a false sense of danger from the way the warnings are all over the place. Because, really, we all know that any time someone else is preparing or even packaging a food, there is risk. Hi. Just wondering if you’ve already contacted MA DPH or governor’s office to see why DPH hasnt followed through? Hi Jana. 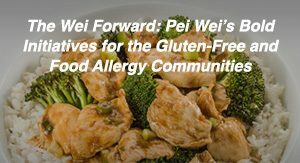 I was added as a member of the DPH’s Food Allergy Working Group and had what would’ve been valuable input (again, thanks to the AllergyEats community). I have my own beliefs as to why there’s been no follow-through, but out of respect for the individuals involved, and given that there may be issues I’m unaware of, I’m going to decline the opportunity to share those beliefs at the moment. Hopefully, I can help positively influence getting this effort back on-track. That will be a lot harder if I don’t handle this diplomatically. I hope you understand. That all said, there’s nothing saying you or anyone else reading this can’t make some calls and ask questions. I would even consider posting your experiences. I live in Massachusetts as well, and I wholeheartedly agree: more restaurant staff should be trained re food allergies. I have been so utterly disappointed by waitstaff even at restaurants known as being “allergy friendly”. I’ve had servers repeat, like a mantra, that a restaurant has a “from scratch” kitchen and that therefore they’ll make the food however I need or want it, but I just did not get the feeling that server really grasped the seriousness of food allergies and possible reactions. I also think restaurants should have the food allergy trained servers/staff (as opposed to the untrained staff) wait on the customers with food allergies. I am very disappointed with the “allergy friendly” designation. I was in touch with some state officials some time ago about this and never could get clarification about what the criteria would be. Now I see nothing has been done about that. It’s a very subjective thing, labeling a restaurant as allergy friendly. I would be interested in seeing what will come of this part of the law. Truly, I think allergy menus are another thing that creates a false sense of security. If they are to be used, I would LOVE to see some standardization of allergen or allergy menus. The fact that a restaurant has an allergy menu does not mean the meal is somehow safer. It just means Corporate HQ sees value in being perceived as allergy friendly. I would love to see allergen charts (like those available for McDonald’s and other fast food restaurants) available everywhere. It makes it so much easier to make a safe choice when I know which allergens (at least top 8 ) are in the food and which may cause possible cross-contamination. 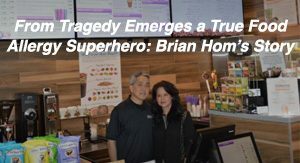 As the owner of a certified GF and completely GF & PF and allergy free Cafe, Deli and Bakery in Ellicott City, MD; I know that what Mass and RI have in place are not enough to keep folks safe. Being Celiac for 25 years and having multiple food allergies and as the owner of One Dish Cuisine, I know the training video and the poster are not enough to excite me, make me feel safe or make me risk eating out anywhere but my own cafe or my own home. We do it right here and we also supply food for local hospitals. The biggest problem is knowing where the harmful ingredients hide, and they hide and masquerade under many different names! My system and kitchen design takes care of that and it has been three years and we have not had a reaction or cross contamination yet! Fantastic post! It’s great that so many states have food allergy laws these days, but I agree that they should be more widespread. Although my state (Ohio) has been fairly proactive when it comes to food allergy policies in schools, there are few in place to protect restaurant patrons. 1) Know their menu items and how it is prepared, all hidden allergens are identified in each menu item, by reading each and every label. 2) Train and Test you staff frequently on allergen awareness. 4) Communication – Take allergen requests seriously, listen carefully, provide customers with accurate information about the foods you serve. I believe a detailed menu with allergen information is the gap that needs to be filled in most restaurants. It’s a pain to create, but it’s worth the effort.